"Indeed, many of those recent problems stem from the decisions taken during the Rajapaksa presidency -- that does not mean they were all bad decisions"
During much of his political life, ex-president Mahinda Rajapaksa was a shrewd street fighter. Recently he has also proved what an accomplished puppeteer he is too. 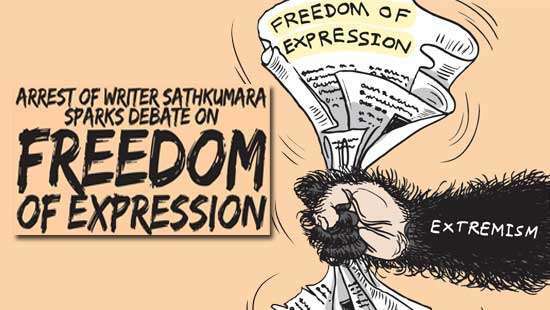 In many recent incidents, ranging from the mini-riot in Hambantota over the proposed export zone, to SAITM and the recent ill-advised intervention by the Mahanayakas, Mr Rajapaksa has had a hand in exploiting minor grievances and escalating them into crisis proportions. Indeed, many of those recent problems stem from the decisions taken during the Rajapaksa presidency -- though that does not mean they were all bad decisions. What is disingenuous however is that Mr. Rajapaksa is now behaving as if he was born yesterday and is instigating the people against those very decisions. Poor souls who have now been taken for a ride by the born-again Mr Rajapaksa could well have been offered a free ride in a white van, had they chosen to challenge those decisions during the Rajapaksa presidency. Even the Mahanayakas were careful not to cross the red line with him. In 2010, after the arrest of General Sarath Fonkseka, the Mahanayakas planned to convene a Sanga convention to highlight their concerns over the mistreatment of the war-winning former army chief and the erosion of democracy in the country. After one ominous telephone call from Mr Rajapaksa, who allegedly threatened to split an existing Nikaya into two, Buddhist high priests abandoned all plans and went into a half decade of hibernation. Recently, they appeared to have been woken up by a courier from the ex-president. The Rajapaksas and their cronies ought to be in courtrooms defending themselves against the alleged deeds of fraud, corruption, nepotism, white-vanning and attacks on the media. Instead, they are ruling the streets. Their actions no longer resemble a desperate reaction by a disgruntled, marginalized lot who try to stay relevant. Theirs is a far more sinister plot to make the country ungovernable and ride to power in the ensuing anarchy. He and his cronies are exploiting the very freedoms that were guaranteed by the new government in an effort to discredit those freedoms and to make the people nostalgic about his authoritarian past. "At the Cabinet meeting the the President had lamented that the Govt. had failed to prosecute any of the big fish of the former regime"
However, the success of the Rajapaksas and their cronies has much to do with the complacency of the current government to rein in the ex-president. 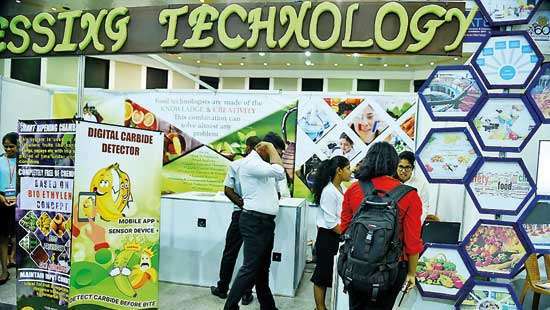 At the Cabinet meeting held last week, President Maithripala Sirisena lamented that the government had failed to prosecute any of the big fish of the former regime. He claimed that senior police officers of the Financial Crime Investigation Division have confided in him that some senior government ministers were preventing the police from digging into allegations of corruption blamed on the inner circle of the Rajapaksas. He alleged that there exists an agreement between some senior members of the current administration and Mr Rajapaksa to protect the latter from legal action. He pointed out that the Chief of Staff of the former President, Gamini Senerath has not been charged even after his driver in a statement to the police revealed that sack loads of public money were transported illegally under his instructions. He said that the former presidential secretary Lalith Weeratunga in a statement over the distribution of Sil cloth among voters has told he was acting under the instructions of ex-president Rajapaksa. But, Mr Rajapaksa has not been charged, nor has he been questioned, the President noted. That the president himself is now airing disappointment over the inability of his own government to hold the Rajapaksas accountable tells a lot. There may be several explanations for the government’s failure. Some senior UNP ministers believed that the arrest of the Rajapaksas would have caused political instability. That may be why Prime Minister Ranil Wickremesinghe once asked the police not to arrest Gotabaya Rajapaksa. Many people-including this writer, believed that sparing Mr Rajapaksa from legal action would tame his destabilizing influence and encourage him to go into political retirement. However, such notions have been proved wrong. Mr Rajapaksa is way too ambitious, still popular and can cause a lot of harm. Law and Order Minister Sagala Ratnayake, who was once accused of being the mysterious person behind the phone call to the IGP inquiring about a court appearance of one particular Nilame, has assured that police and law enforcement authorities are free of political interference to carry out their duties. Even if Minister Ratnayake does not interfere, some agencies of the government, such as the Attorney General’s Department are loaded with senior officers loyal to the former regime. That would mean after one point, investigations would not move forward, without a manifest interest by the government. Justice Minister Wijedasa Rajapaksa who himself is charting a separate path these days does not inspire confidence in the eyes of many people. The other explanation is far more sinister; vested political calculations of the influential UNP members are blamed on the government’s apparent go-soft approach towards the Rajapaksas. They may prefer to protect the former president, hoping disarray in the SLFP and its potential break-up across the loyalties to the incumbent president and his predecessor would be electorally beneficial to the UNP. That may be logical thinking under most circumstances, but with Mr Rajapaksa, that is wishful thinking. 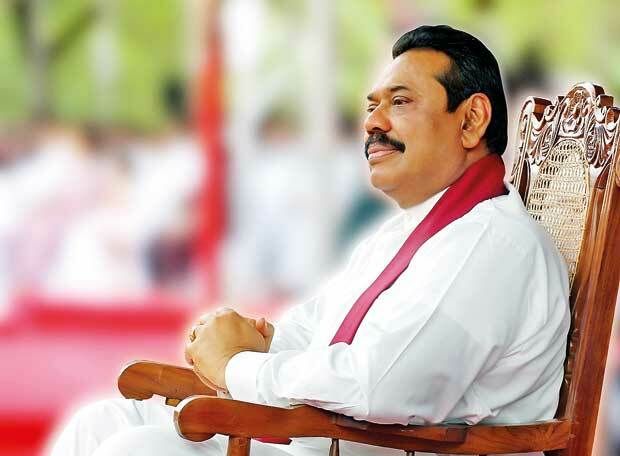 Mahinda Rajapaksa is a lot smarter than the UNP bigwigs who plot to use him as a cats paw. 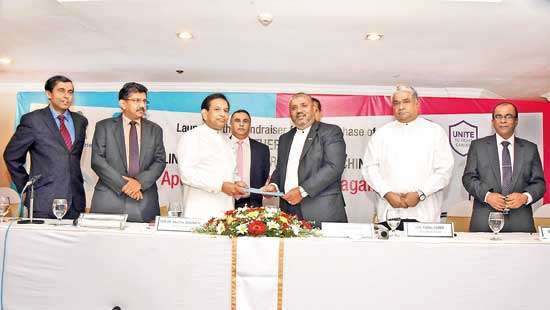 It would not be long before Mr Rajapaksa’s alleged UNP benefactors find themselves at the receiving end. The President has told the Cabinet ministers, that if the Attorney General’s Department, police and other investigation agencies were brought under his purview, he would catch the culprits within three months. This proposition has been roundly criticized by the social media warriors, who have raised concerns that the move would lead to concentration of power in the hands of the President. That is a genuine concern. Also, bringing those agencies and institutions directly under the purview of the president is ill advisable for that would give it the appearance of a witch-hunt. Mr Rajapaksa would love to play the victim. However, if the current status quo does not produce results, something has to be done to avert further erosion of public confidence in the investigations into the past acts of fraud and corruption and other mischief. In the absence of a clear commitment from many members of the government, the president will have to take a special interest to see that investigations would lead to some tangible results. A presidential oversight would also discourage many interested parties from sabotaging investigations. A government minister was on record as saying that if the Rajapaksas are brought to book, much of the current protests would stop. He is probably right. After all it will show that there is a government.